WIC Resetter Supported Epson Printers list. | | WIC Reset Utility. Reset the Waste Ink Pad Counters by WIC. 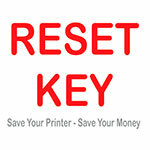 WIC Reset Utility can work with almost all Epson Printer Models. Please check You model. WorkForce WP-4011, WPM-4011, WP-4015DN, WP-4020, WP-4022, WP-4025DW, WP-4090, WP-4092, WP-4095DN, WP-4511, WP-4515, WP-4520, WP-4511, WP-4515, WP-4520, WP-4521, WPM-4521, WP-4525, WP-4530, WP-4531, WP-4532, WP-4533, WP-4535, WP-4540, WP-4545, WP-4590, WP-4592, WP-4595 – Reading counters only. Reset function NOT available.